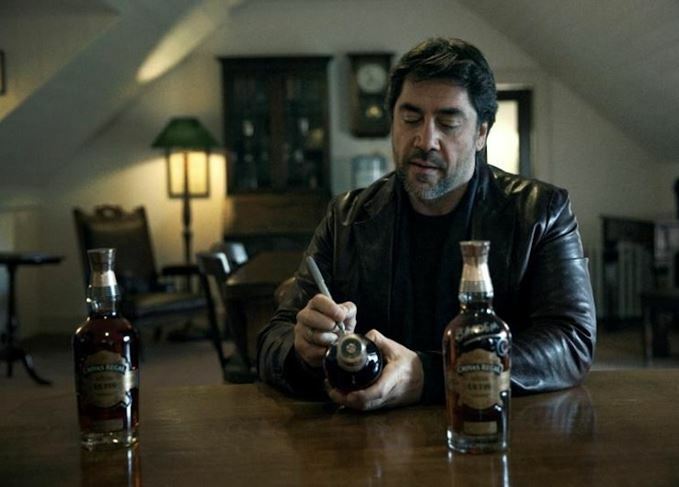 Oscar-winning Spanish actor Javier Bardem swapped Macallan for Chivas Regal when he visited Strathisla distillery in Speyside this week. 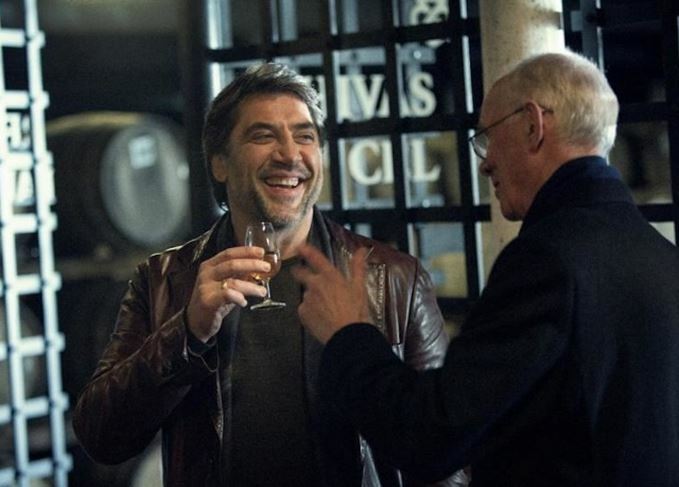 Bardem, 48, winner of the Best Supporting Actor Academy Award for the Coen Brothers’ No Country for Old Men, met up with Chivas Regal custodian master blender Colin Scott and director of blending Sandy Hyslop while at the distillery. As well as discovering more about the art of blending Scotch whisky, the star of Jamón Jamón and Vicky Cristina Barcelona was presented with an exclusive edition of new blended malt Chivas Regal Ultis by Hyslop. 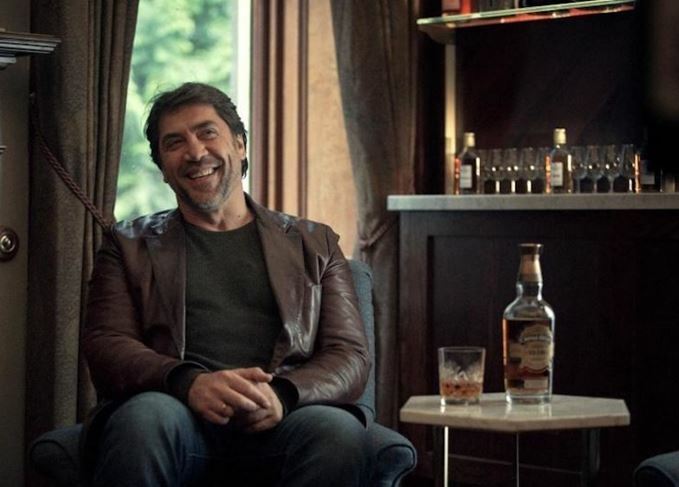 Bardem is one of the global faces of Chivas Regal, and features in the brand’s Win the Right Way advertising campaign, but he famously sipped a rival product in one of his most famous roles, that of villain Silva in the 50th anniversary James Bond film, Skyfall. In one of the movie’s most famous scenes, Bardem and Daniel Craig’s Bond compete to shoot a shot glass – William Tell-style – of Macallan 1962 Fine & Rare off the head of Bond girl Sévérine, played by Bérénice Marlohe… with deadly consequences. 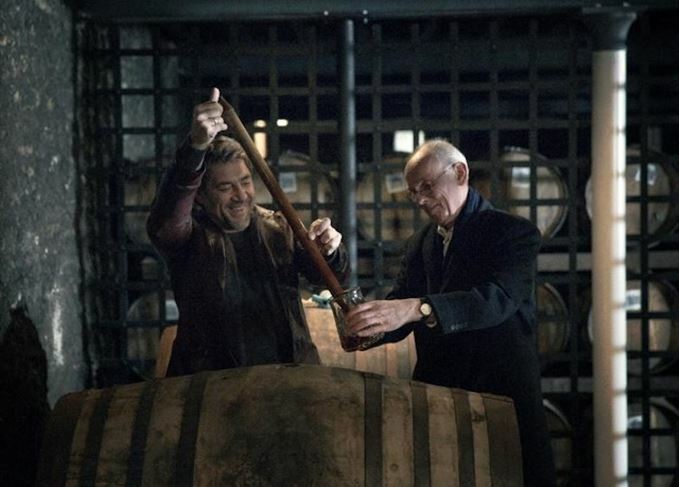 Bardem’s visit to Strathisla, a single malt used in every Chivas Regal blend, was filmed and will feature on the brand’s social media channels later in the year. Alfresco 64 in Bangkok stocks an exclusive Chivas Regal blend that is the first of its kind. Born at Glen Grant, Dennis Malcolm has been linked with the Rothes distillery almost ever since. Chivas Regal’s oldest release to date celebrates the team’s 1968 European Cup victory.